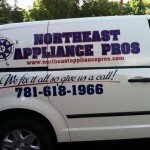 Appliance Warranty Service at Northeast Appliance Pros. Locally owned and operated, we take pride in helping your family at a reasonable cost. 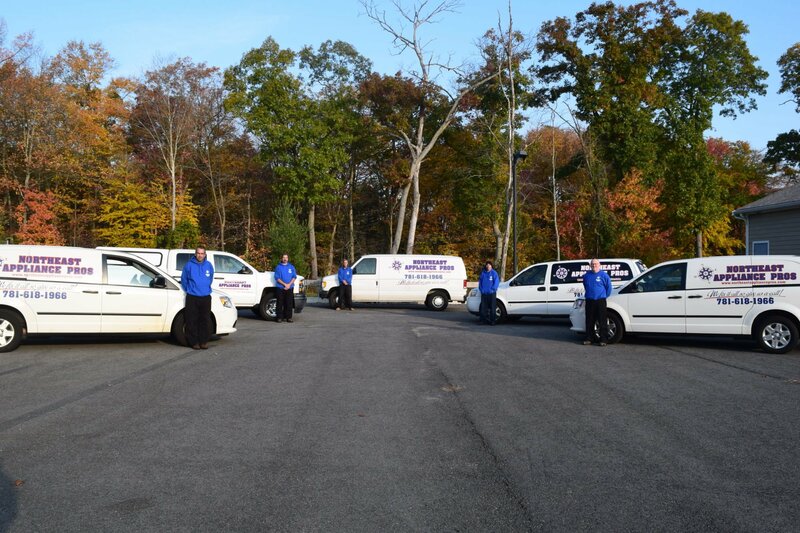 Our friendly technicians have over 25 years experience with the best prices around. All of our technicians are factory trained and certified, as well as drug screened and background checked. 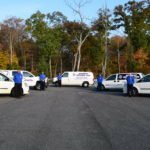 Between our experienced technicians and our dedicated office staff, we have been able to maintain solid relationships with our loyal customers for the past ten years and counting! Do you need you your appliance serviced or repaired? 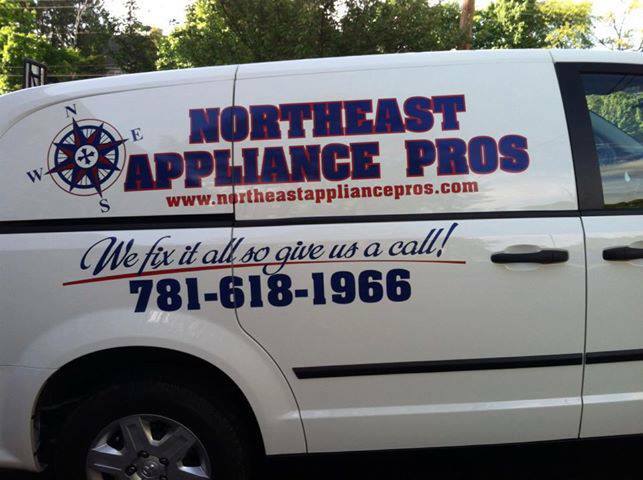 Northeast Appliance Pros can help! 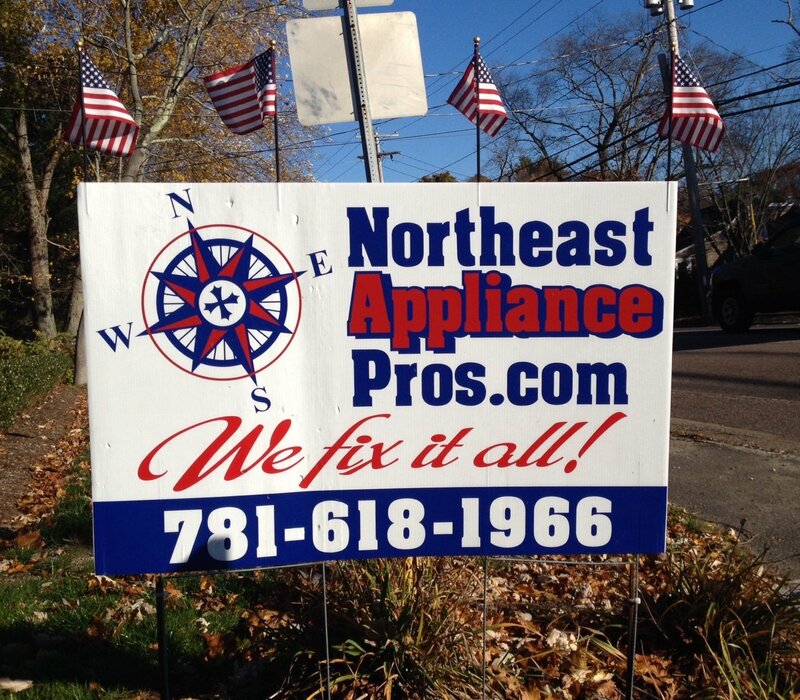 Northeast Appliance Pros is a full service appliance repair shop and is located in Rockland, MA. We service all type of washers and dryers, gas stoves, electric ranges, wall ovens, microwaves, refrigerators, freezers, ice machines, trash compactors, dishwashers, warming drawers, wine coolers, kegerators, beverage centers. We service customers on the South Shore ranging from Boston to Cape Cod. 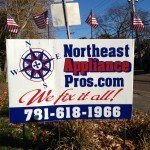 Call us at 781-618-1966 with questions or to schedule a service call. All of our technicians are factory trained and certified. With over twenty five years of experience they are the best in the business. Our knowledgeable and friendly technicians will go above and beyond your expectations with your appliance repair needs. Northeast Appliance Pros has won the Angie’s List “Super Service Award” five years straight. We are commitment to providing our customers with the best possible appliance repair service. You can check us out on Angie’s List! or write a review on Angies List about your experience with Northeast Appliance Pros at Angie’s List Review! We are open for business Monday through Friday from 8:30 am to 5:00 pm and Saturday 9:00 am to 1:00 pm. If you are just looking to purchase a part and install it yourself check out our friends at Appliance Parts Center in Raynham, MA! 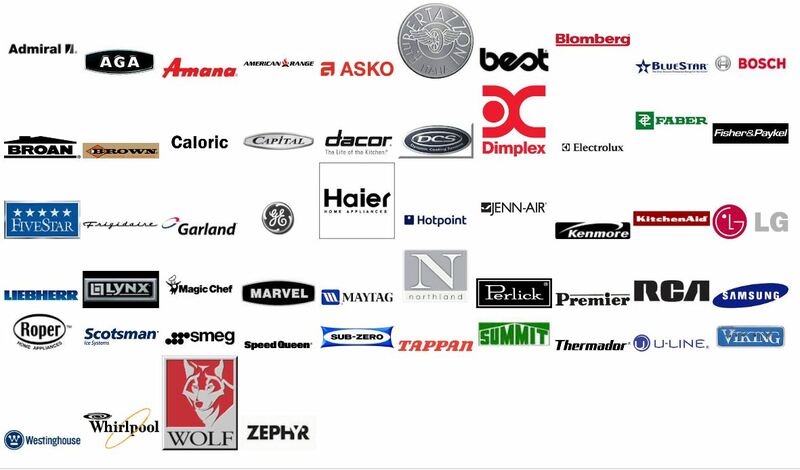 Some of the Major Brands we service!